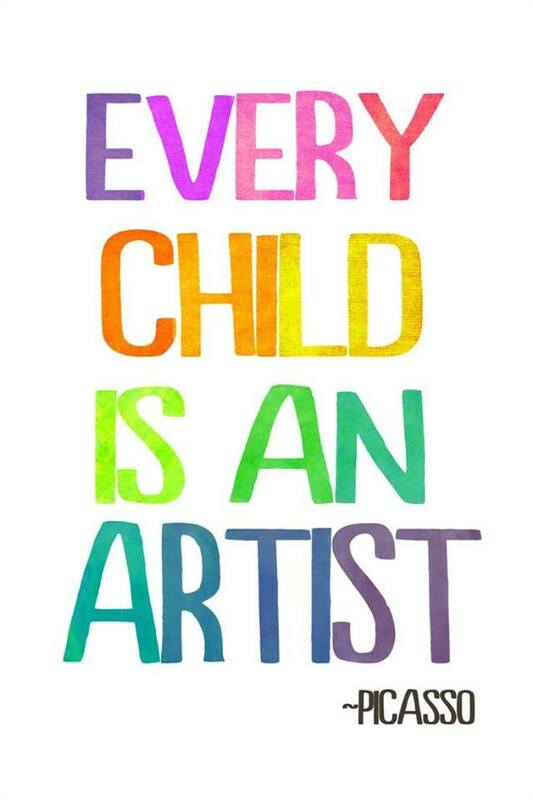 For Children, acting out a book, or other activities is a way to expand imaginations, develop language, explore drama, promote literacy and build vocabulary. So, are you using your children’s story books as a springboard into play? Children love books and want to read them over and over..and over! 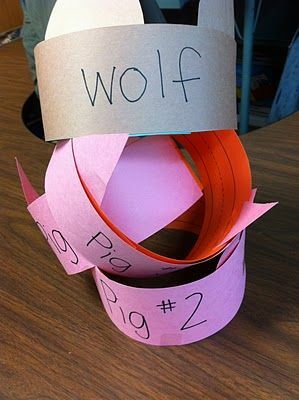 So use play as a way to expand and enrich their book experience. Oh, and it is just plain fun ! Want to try something new and fun? Choose a book, for this post, lets choose, “The Kissing Hand” by Audrey Penn. What a great book! This book is so helpful in preparing children to be away from home or from their parent/s. The occasion may be their first day at school, or a sleepover, summer camp, a parent or child being hospitalized, being babysat while parents go out, or for foster children who miss their parents. Whenever there is a time a child will be away from you and feels scared, read this book with them, if possible. How did Chester feel at the beginning of the story? Why did he feel that way? Did the kiss help Chester when he was at school? Why did Chester kiss his mother’s hand? 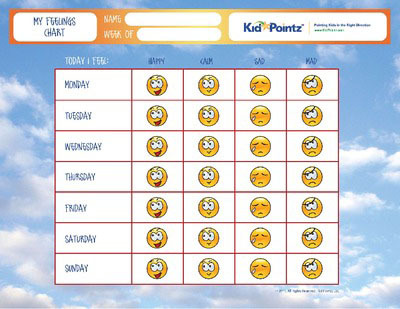 How about using the camera and take your child’s feeling photos to use with the feelings chart? 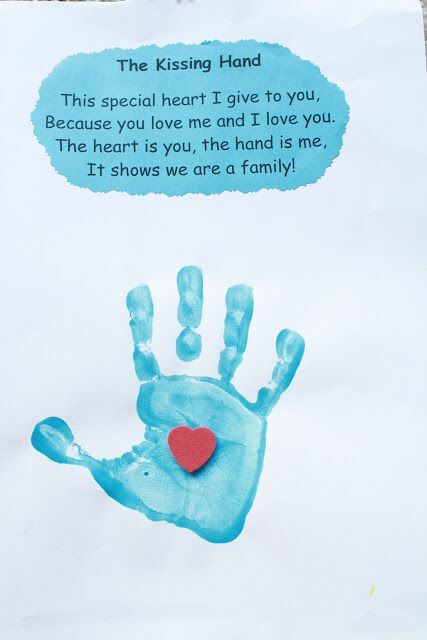 Make a feelings chart for family members. 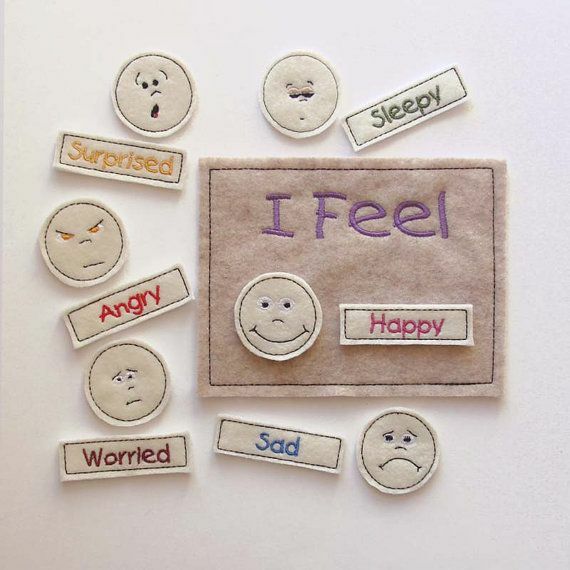 How do you feel today? Here are two ideas that could help you make up your own. For my house, I need to consider space! Make heart shaped cookies or hand shape ones, if you have a cookie cutter that shape. Place a Hershey’s kiss in the middle of either one. 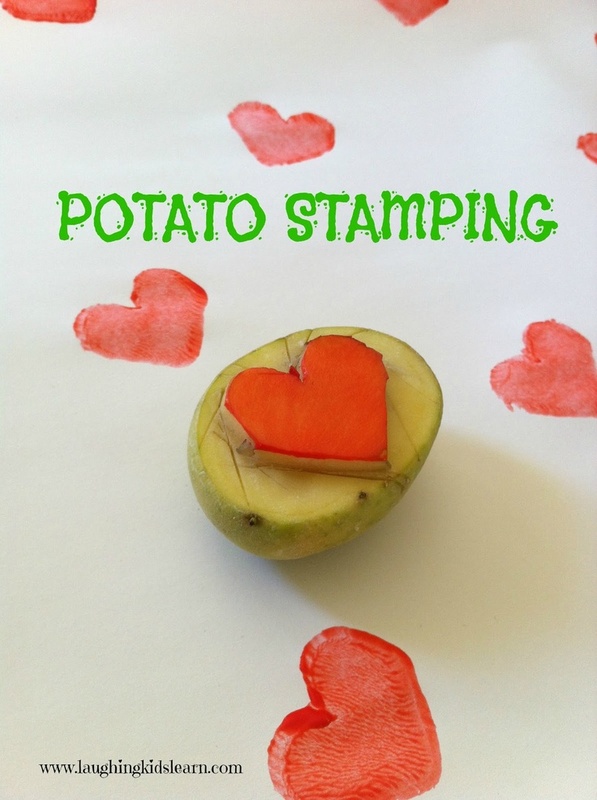 Draw hearts on the parchment with pencil, then completely colour them in with the pencil. On top of the pencil shading, use a marker, of any colour, to completely cover over it. Now, flip the parchment over and place the drawing on a smooth area of the body. The marker colour needs to be against the skin. Place a wet (not too wet) sponge over the parchment and wait 30 seconds. S L O W L Y peel off the parchment from the skin. 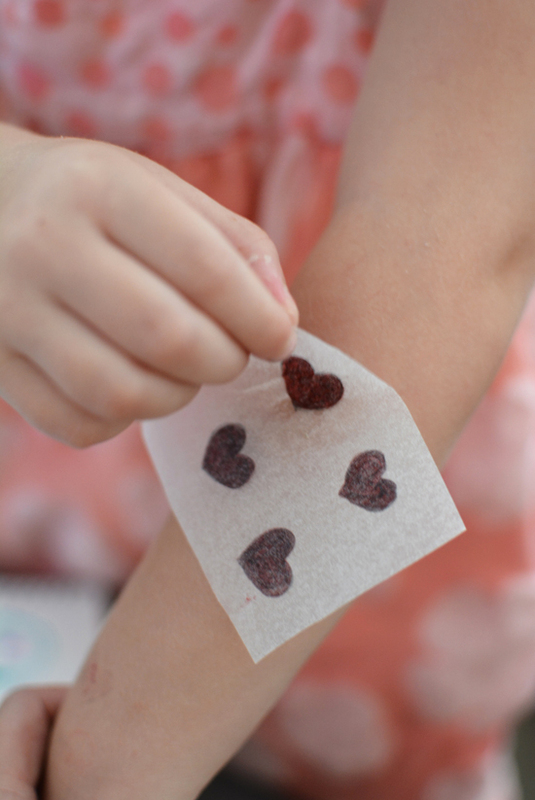 Hurrah, you have made a temporary tattoo! I do hope you and your family enjoy these activities from The Kissing Hand by Audrey Penn. Next Week: My own book, Kieran the Pirate. Want to try something new and fun? Choose a book, for this post, lets choose, “The Mitten” by Jan Brett. What a wonderful, wonderful, story and book! The illustrations are just so adorable. If you haven’t read it, it is about a young boy, who gets a pair of knitted mittens from his grandmother, and loses one in the forest. Several animals, of all sizes, squeeze into it to enjoy its snugly warmth. A fun story, with a funny ending. 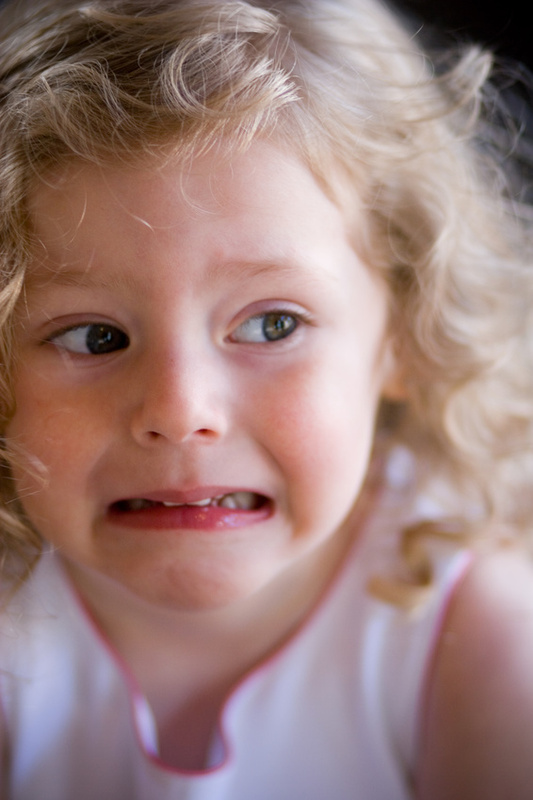 Cause and Effect: Ask children 4 + years, the first half. The answer is in italics. 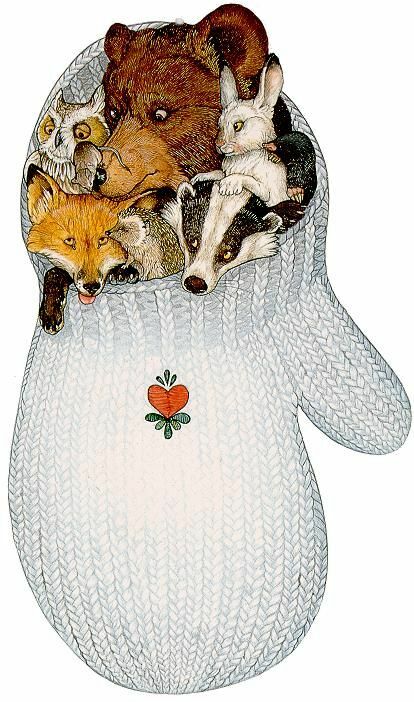 The animals squeezed into the mitten : the mitten stretched out. The bear sneezed: the animals flew out of the mitten. The animals were cold: they went into the mitten. The mouse sat on the bear’s nose: the bear sneezed. Can a bear fit in a mitten? Would a mouse sit on a bear’s nose? Would a badger share his space? Where do these animals live? What do their homes look like? What are their homes called? Bear – den, Rabbit – warren. Badger – warren, Owl – nest, Mouse – nest, Fox – den, Mole- fortress, tunnel or burrow, Hedgehog – den. 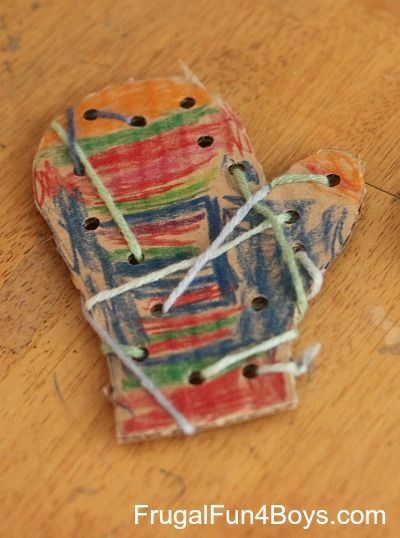 Using masking tape, make a large mitten shape on the floor. See how many of your family members you can fit into this shape. Try it by standing in the shape, then by lying down. Try to predict how many will fit, with everyone taking a guess first. Perhaps use a blanket to cover everyone. Is it snugly and warm? 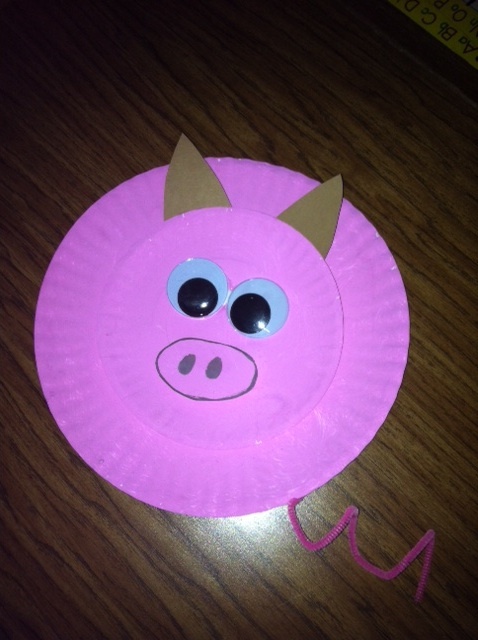 Crafts for Fine Motor Skills: lacing, cutting and painting. LapBooks: a parent/child project worthy of taking on. LapBooks are a brilliant way for kids to get together all the stuff they can find out about an activity and show it off. I have found a couple great links to get you started. 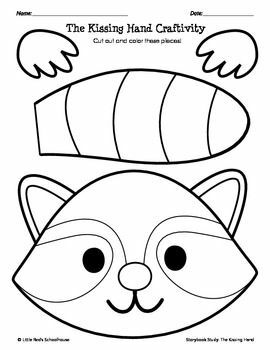 and this one has some great printable pages for preschool. 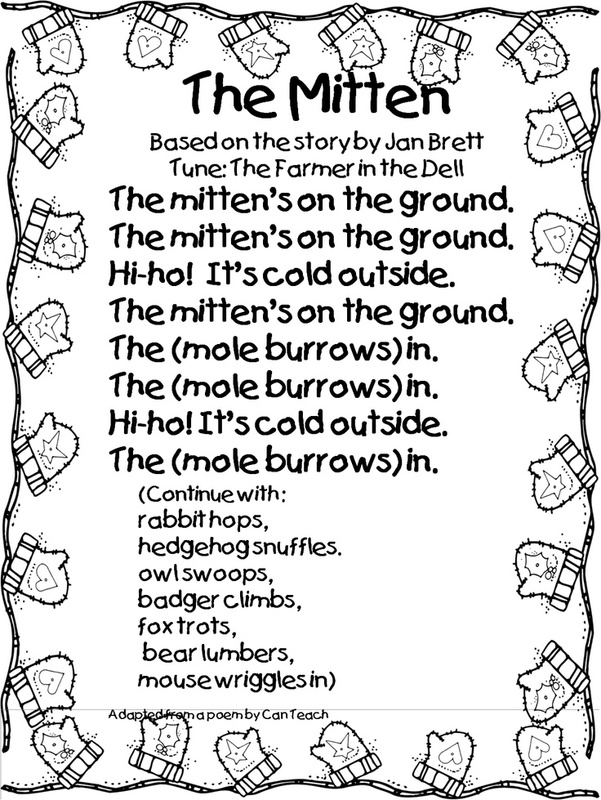 I am hoping that you enjoy these activities from “The Mitten”, by Jan Brett. 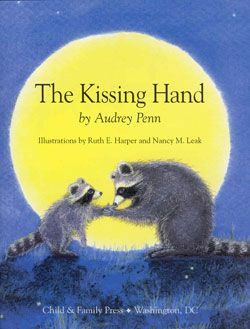 Next Sunday we will look at “The Kissing Hand”, by Audrey Penn. Want to try something new and fun? 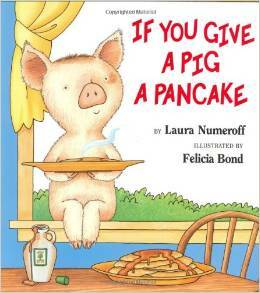 Choose a book, for this post, lets choose, “If You Give A Pig A Pancake” by Laura Numeroff. Making pancakes with any child is easy and fun! It may be messy too, but that easily cleans up. You will need to make both large and small pancakes. 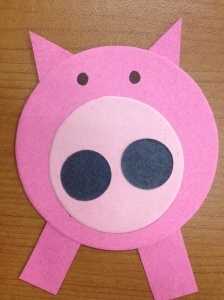 Large, for the pig’s head, one small for the nose, alternative is a slice of pineapple (whole round) or banana slice. Make two smaller pancakes for the eyes if you choose. Then decorate. Use chocolate chips, blueberries or raisins for the irises and nose holes. 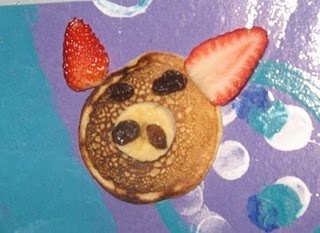 You can make ears from ripped pancakes or use fruit such as cut strawberries. Here is a good pancake recipe: Feeds 4. Pre-mix the following dry ingredients. In a separate bowl mix the following and then add to the dry ingredients. 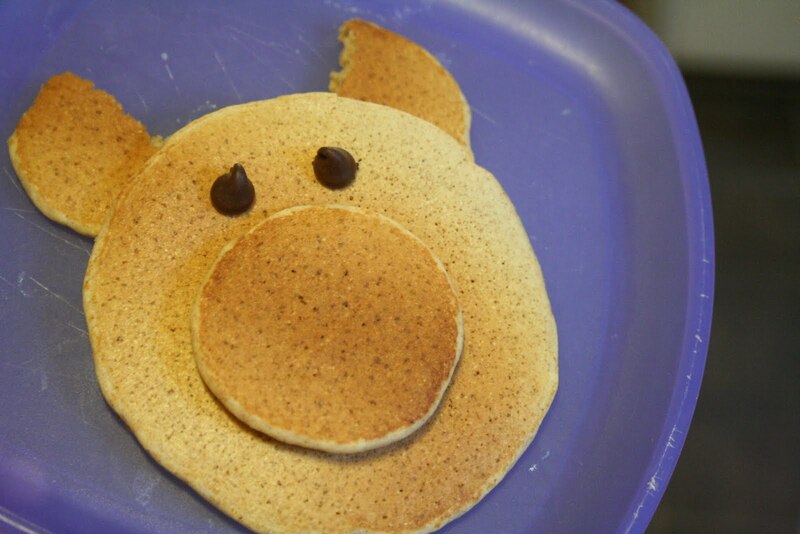 If you give a pig a pancake it may want some syrup! Does your family call pancakes by a different name? Some people call them hotcakes, flapjacks, flap-cakes or griddlecakes. 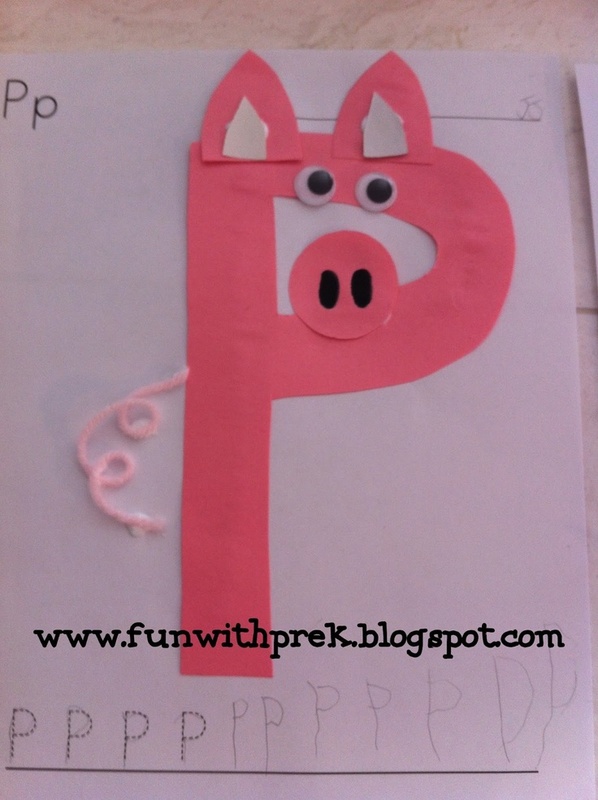 Think of words that start with P or the “p” sound. 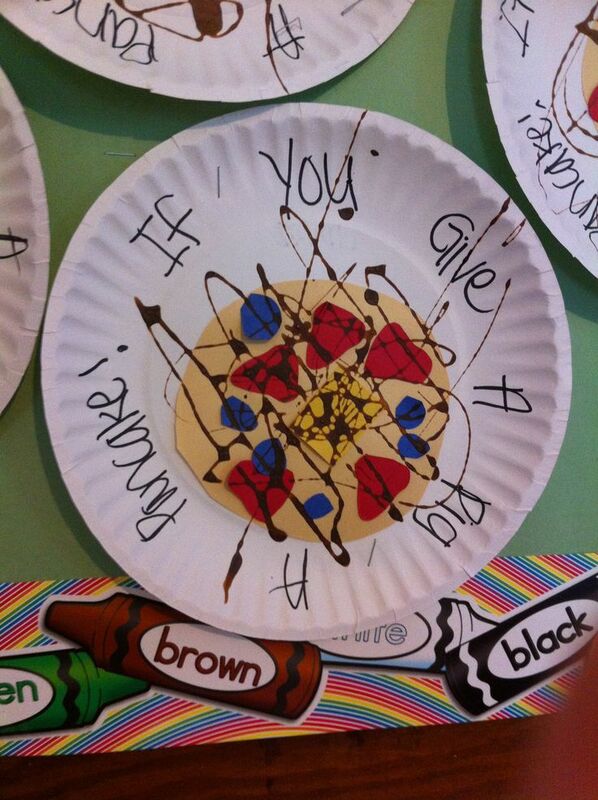 Like: pig, pancake, pajamas, peaches, pizza, paper, plate. Can you and your children think of more P words? Make a list. 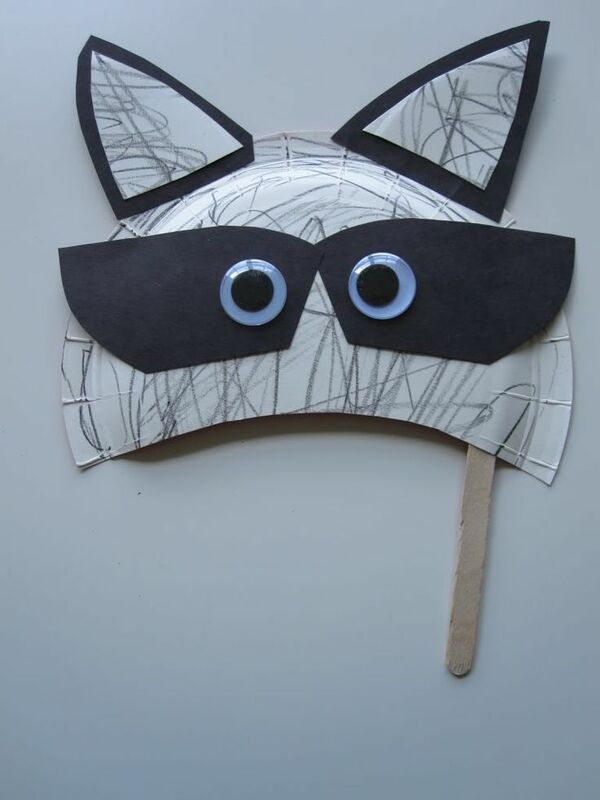 Sequencing Activities: for older children 3 and up. What did the pig want first, second? Then what happened? What will the pig want next? I hope you try this and have fun with bringing this book to life! Oh, and it is just plain fun! Want to try something new and fun? 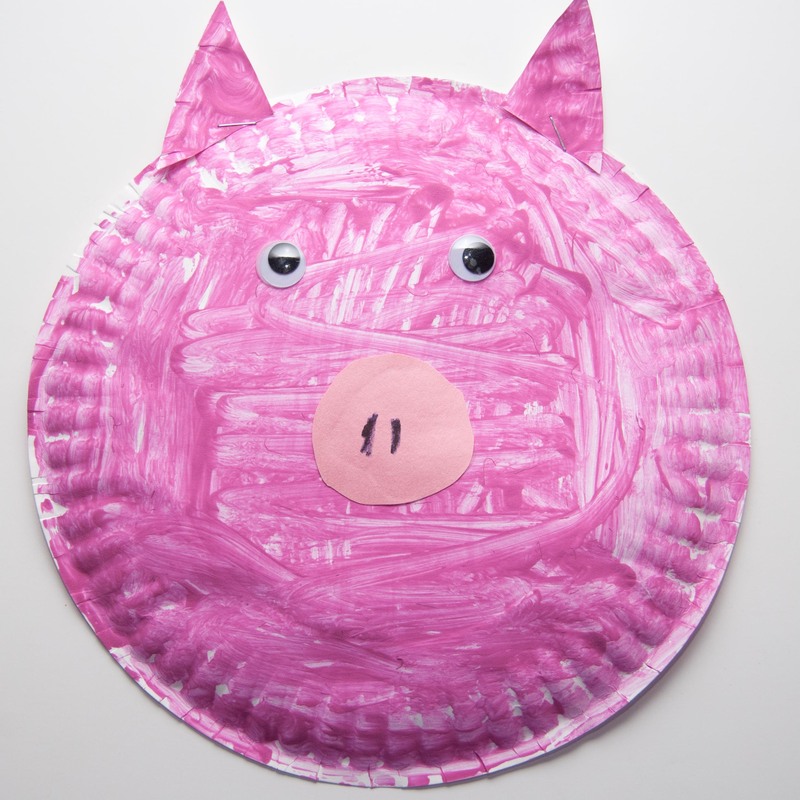 Choose a book, for this post, lets choose, “The Three Little Pigs” by James Marshall. 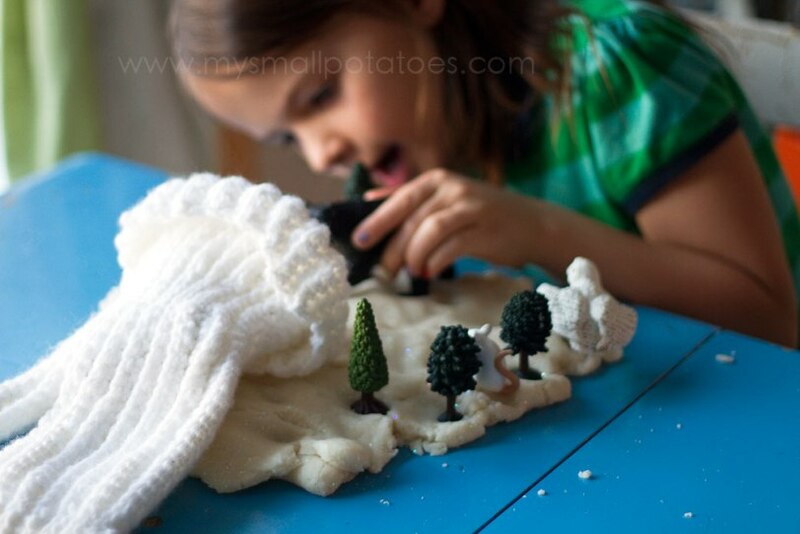 If there are too few children to act it as a play, how about this craft idea from pinterest? If there are enough people, you can each have a role and act it out. Get some rolls of brown paper. 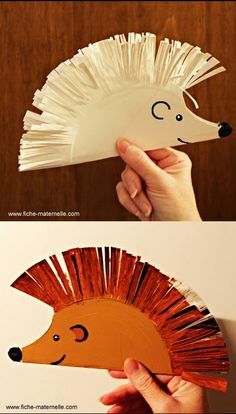 These are great for many things (art work, wrapping paper, table covers) and draw/paint the walls for the little pigs houses (straw, stick, brick). 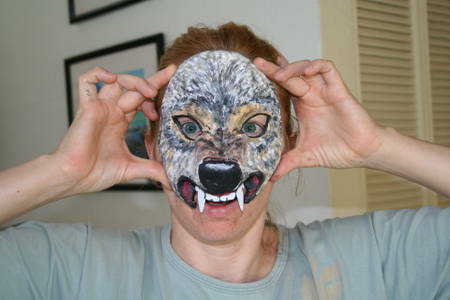 Paper Plates make awesome masks! 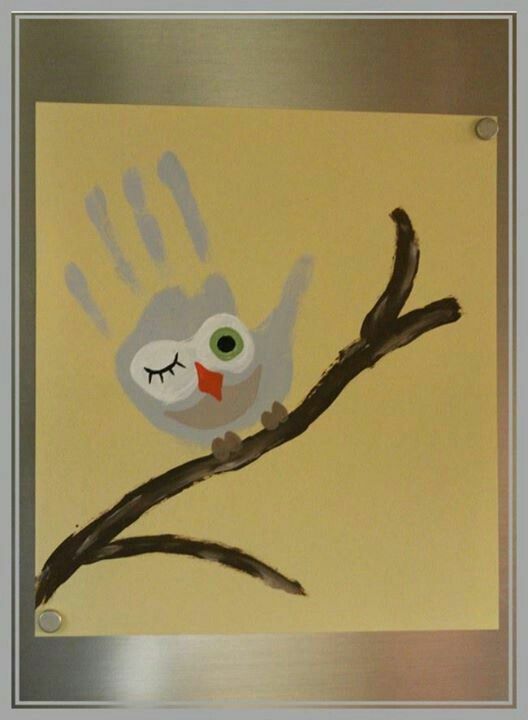 Have fun, your child will love the hands on activity and YOU ! If you have a book that you would like to see, or want ideas for, please leave a comment and I will do my best to find you some enrichment activities. Thank you. WOW! 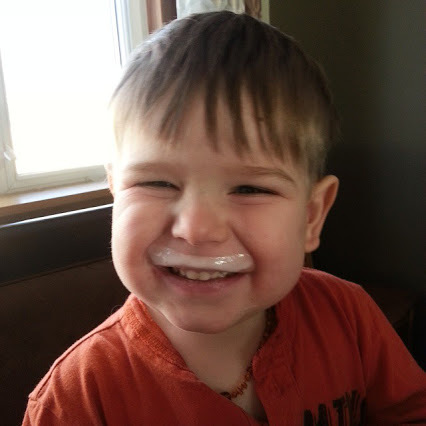 First blog gitters! I’m sure all bloggers began with these! “TalesForTheYoung” ..I enjoy writing for young children. 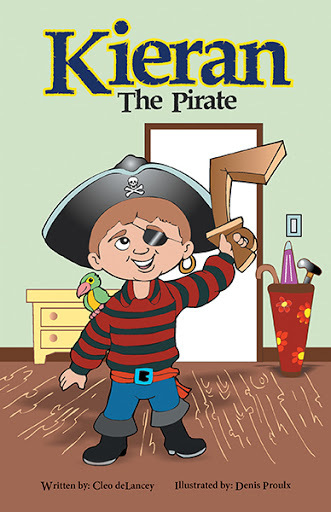 My present book,Kieran the Pirate (http://www.friesenpress.com/bookstore/title/119734000000639859), is about a 3 year old boy who loves to play dress up. He discovers a pirate hat. He doesn’t have any other part to his costume, but believes he is a scary pirate anyway. His extended family help him with the items he needs. This act boosts his confidence! I wrote this book, inspired by my eldest grandson, who moved across the country and I missed him so much. 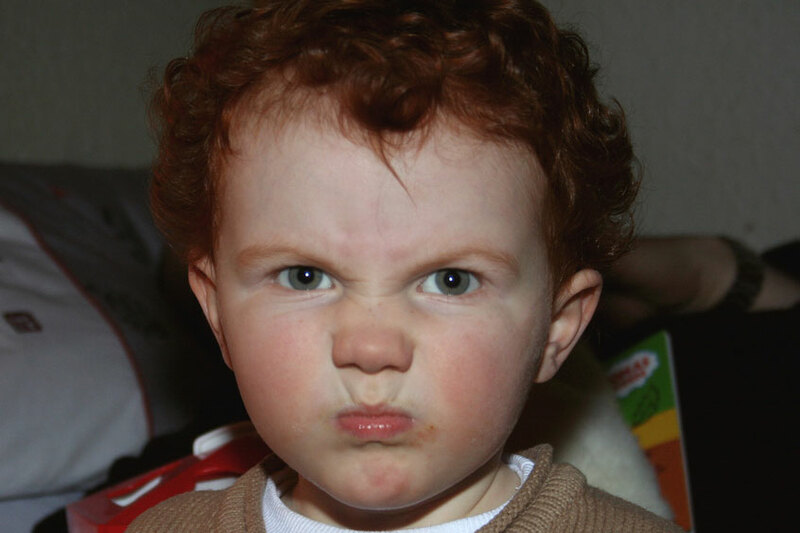 I tried to keep a relationship by telephone (no skype back then), but a 3 year old would rather go play. To keep his interest, I would tell him made up stories or read him easy reader books. If any character had a name, I substituted his. And thus began my writing career! I tried to keep in mind the reading and enjoyment level of 2 to 5 year old children. Sometimes it is difficult to keep the complexity of the words down to their level. I aimed for some repetition as it helps this age group participate in the telling. As well, when introducing the items of the pirate costume, I used the illustrations to help them with the identification the item. 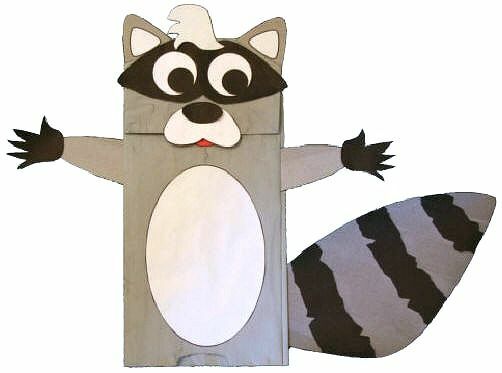 An underlying theme for adults is that DIY costumes are fairly easy to accomplish with items from home. Dress up is fun! I also want adults to use the format of this book to help children with prediction skills. What does a pirate wear or what else does he need? For the 2 and 3 years old, it can be used to identify titles to family members. Adults can ask, “Do you have an Auntie?”and “What is her name?” Other titles in the book are Grandfather, Brother, Uncle, Great-Grandfather, Grandmother, Mother, and cousin.